BSI Kitemark License No. KM584102 and in conjuction with our ISO:9001 Quality Management System. Our Steel Scaffold Ladders are available from 3m to 8m. 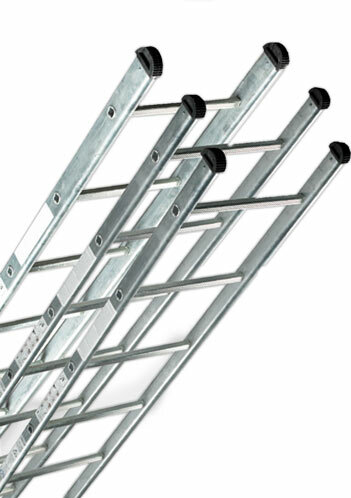 All our ladders are fully Galvanised for durability and come complete with high quality, durable rubber feet that are curved for stability and allow the ladder to be reversible. A High Quality, Durable and Competitively priced access solution! Fully Compliant to BS EN131 Parts 1, 2 & 3. Meets BS2037 Class 1 Performance requirements. Certified in the UK by BSI under Kitemark KM584102. Fitted with Square, Non-slip, angled rungs. EN131 Max Static Load: 150KG. EN131 Safe Working Load: 110KG.